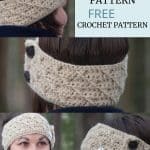 It’s another day & another opportunity to share a FREE crochet pattern, the crochet Headband with Cross Pattern. This crochet headband offers lot’s of texture & is a quick crochet make as it uses super bulky yarn. 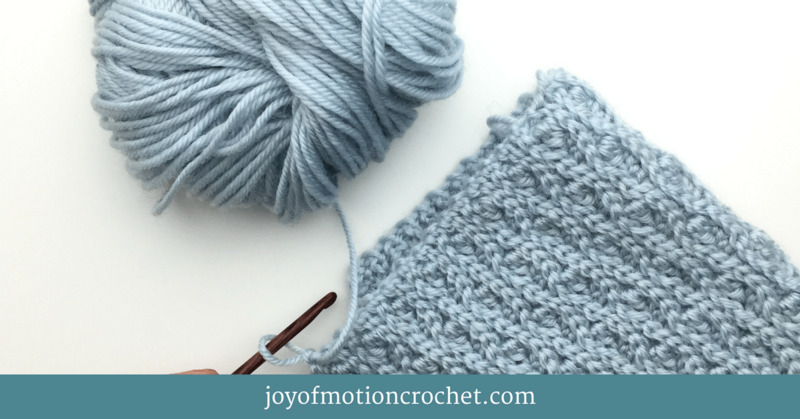 The stitch pattern is quite easy, as I’m happy to say it’s mostly half double crochet stitches. 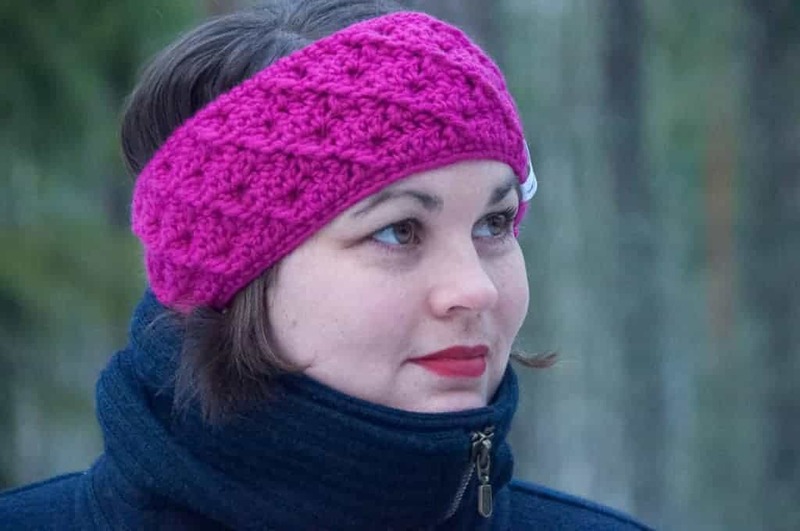 The crochet Headband with Cross Pattern was made with a yarn from Drops called Eskimo. 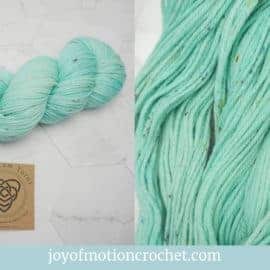 What’s so great about the Eskimo yarn is the fact that it is yarn weight 6, but doesn’t feel way to thick. It’s still great to work with. 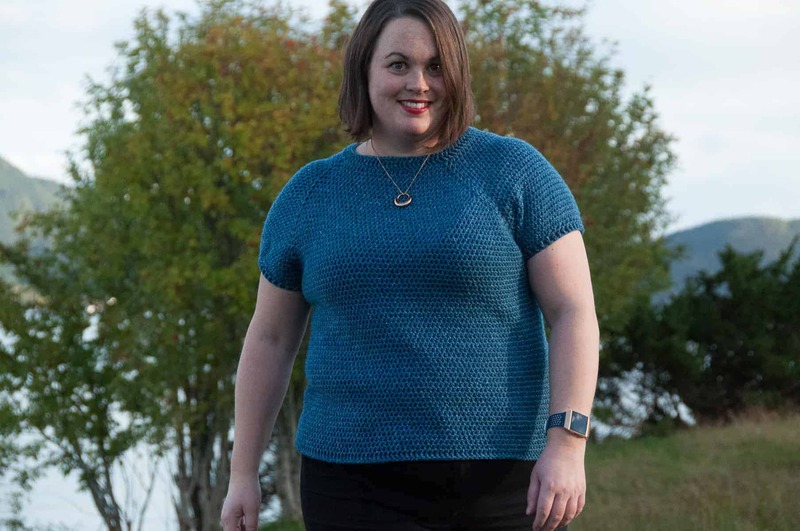 It’s also really soft & warm, which makes it a pleasure to use & wear. 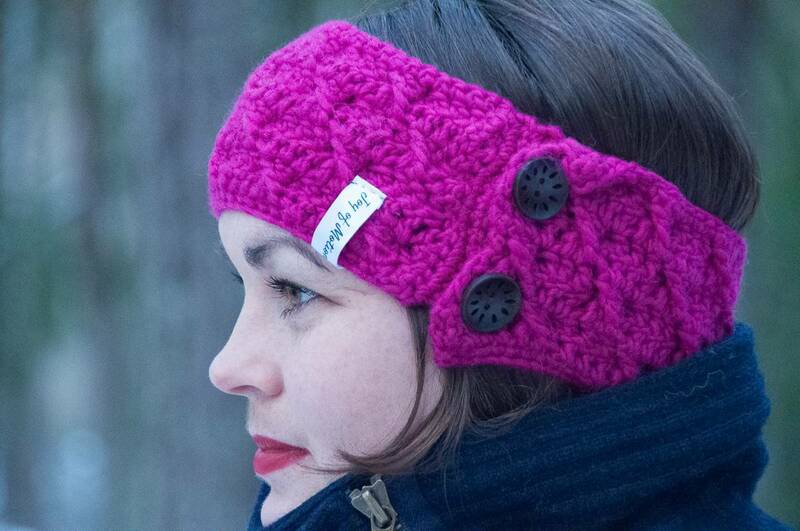 That also means it’s great to keep you warm, such as for a ear warmer like the crochet Headband with Cross Pattern. 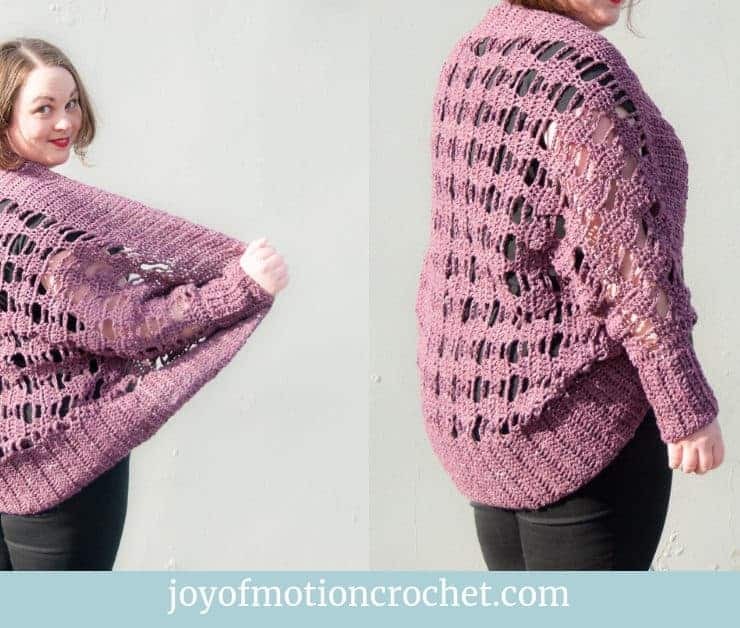 You can find the yarn here. 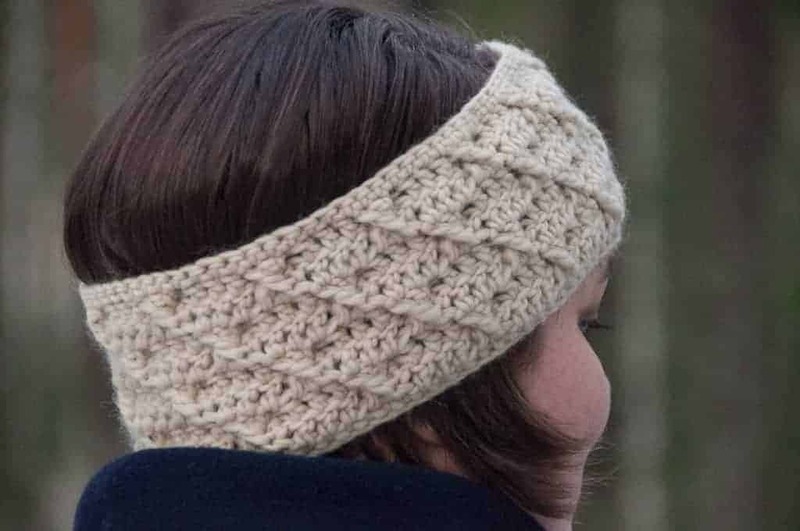 Did you see the texture of the headband? 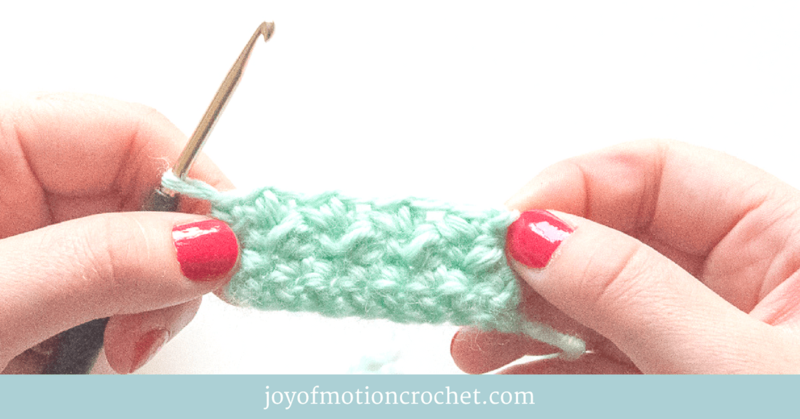 It’s such a lovely texture & nothing is better than to make a headband when you’re exploring a new crochet stitch. 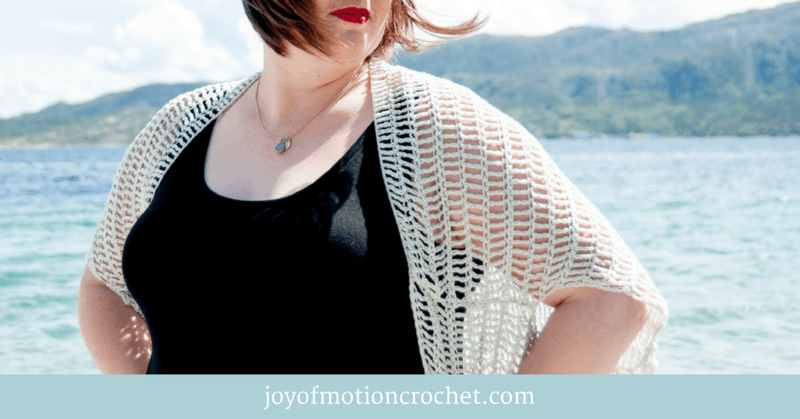 It doesn’t require any fancy increases or decreases & you can finish in just an hour or two. 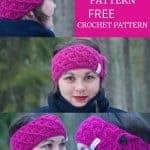 Since you like the Headband with Cross Pattern, these might interest you too? 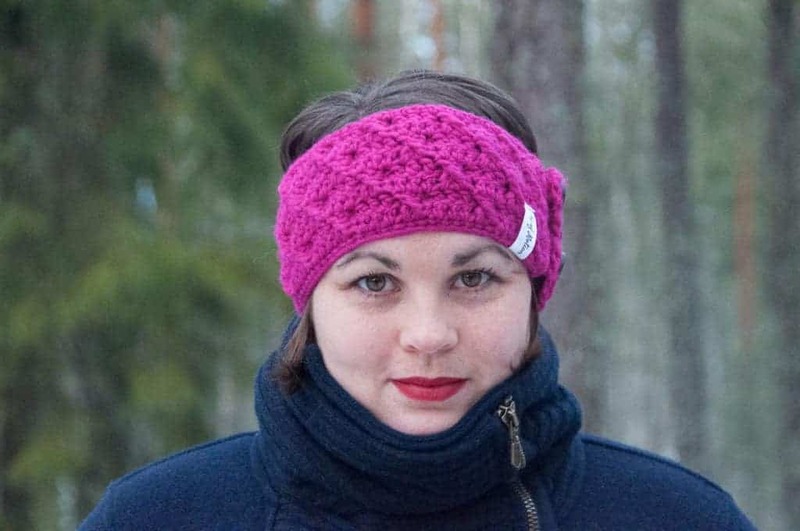 The headband with cross pattern is a pattern for a headband or ear warmer. 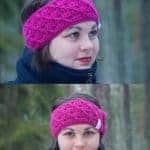 This headband can be modified to fit any head circumference. 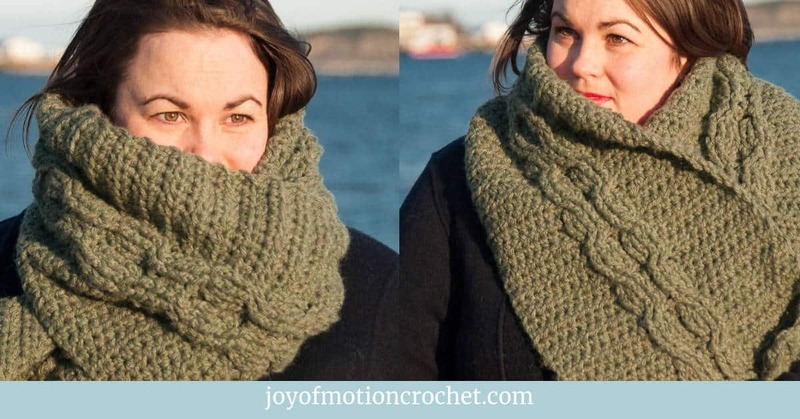 Put this to use & keep yourself warm throughout fall & winter season. 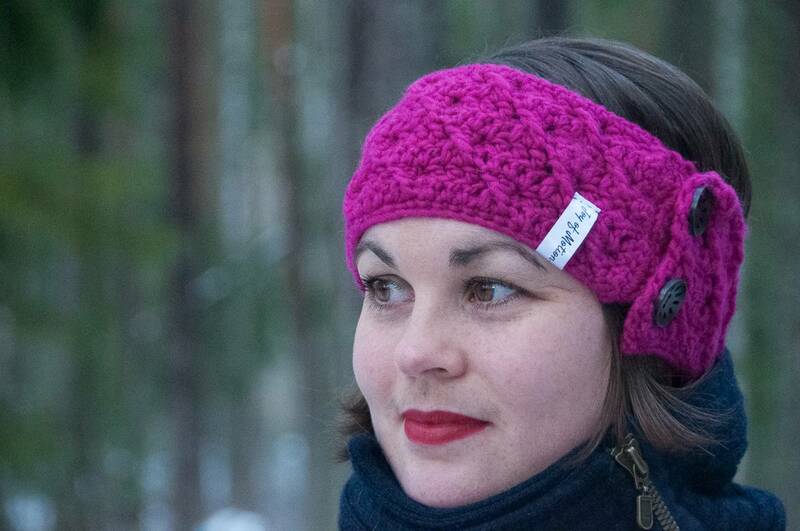 Take this headband on for a walk, to go skiing or snowboarding. 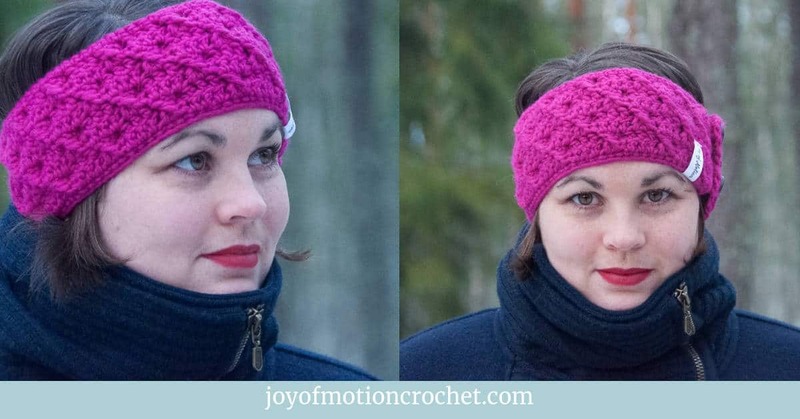 15 stitches & 10 rows per 10 cm / 4”. 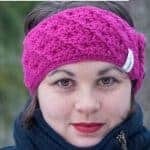 Make the headband circumference wider or narrower by adding/reducing extra stitches before you start row 1, added/reduced by 3 stitches at a time. 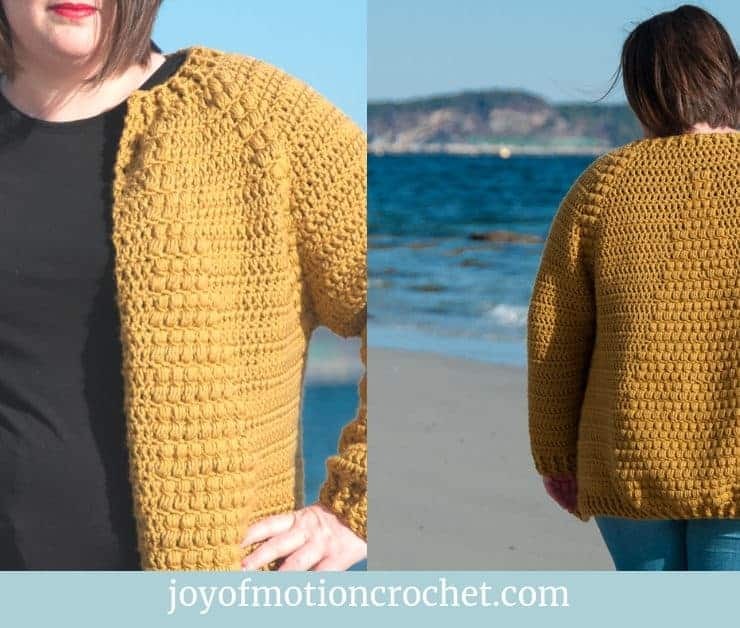 When you decide on circumference, remember that you’ll add a few rows as “botton” rows. 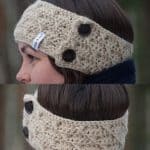 Adjust headband width by adding/reducing the number of rows you crochet. 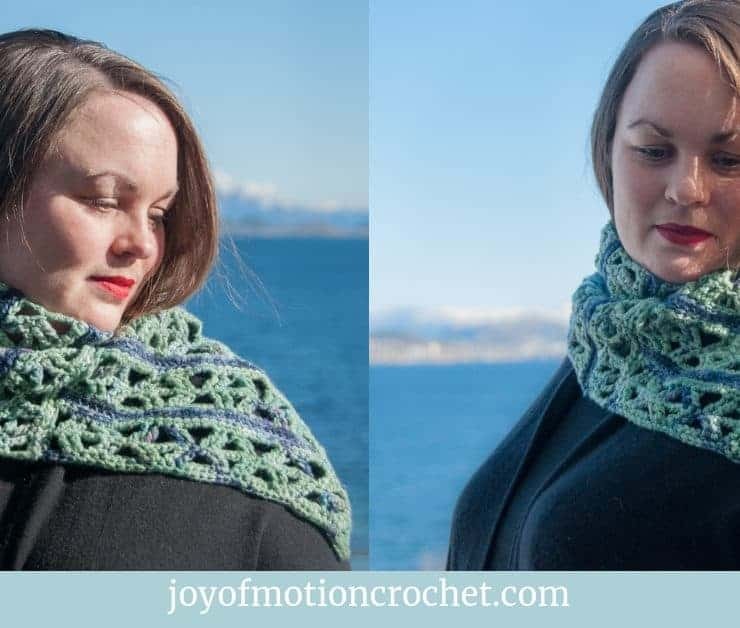 You will need to use chains, single crochet stitches, slip stitches & the cross pattern. 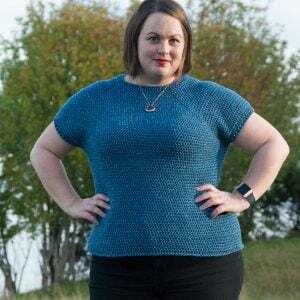 Special stitch – DCCR (cross): Sk the next 2 dc, dc 1 in the same place as the basis for the next st, dc 1 in the second of the 2 st that you sk, dc 1 in the same place as the basis of the first st you sk. Row 1: Ch 3, dc 1 in each st from prev row, turn. Row 2: Ch 3, *DCCR 1 over the next 3 dc, dc 1 in each of the following 3 dc*, repeat from *to* across row, turn. Row 3: Ch 3, dc 1 in each st from prev row, turn. Row 4: Ch 3, skip the first dc, *dc 1 in each of next 3 dc, DCCR 1 over the next 3 dc, repeat from *to* across row, turn. 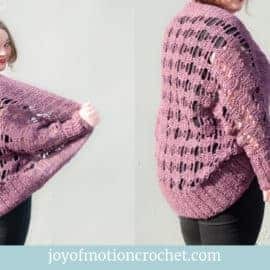 Repeat rows 1-4. 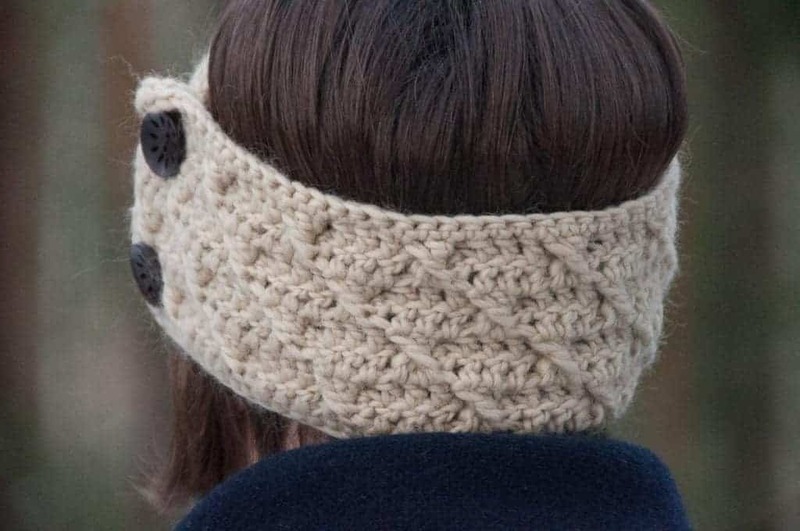 This headband is crocheted from the bottom up, with turning rows. 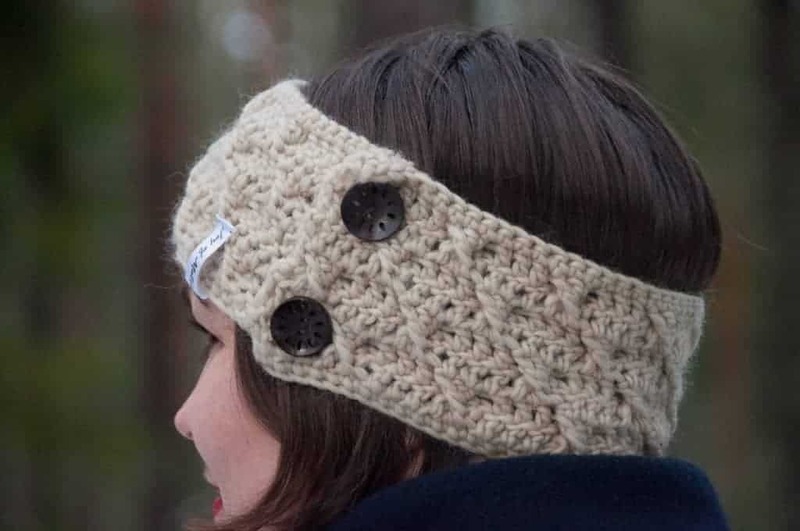 Then the button row is crocheted to the short side of the headband. 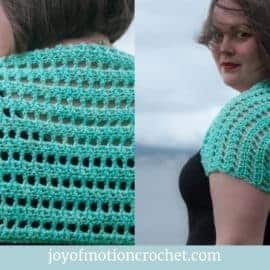 Row 1: Crochet sc in 3rd ch from hook, continue with sc in all ch, turn (=75 st). 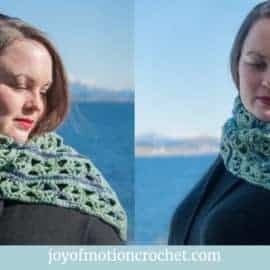 Row 2 – 8: Follow instructions for cross pattern, repeating row 1-4 as explained under the stitch explanation. Row 9: Ch 1, sc 1 in all st from prev row, turn (=75 st). 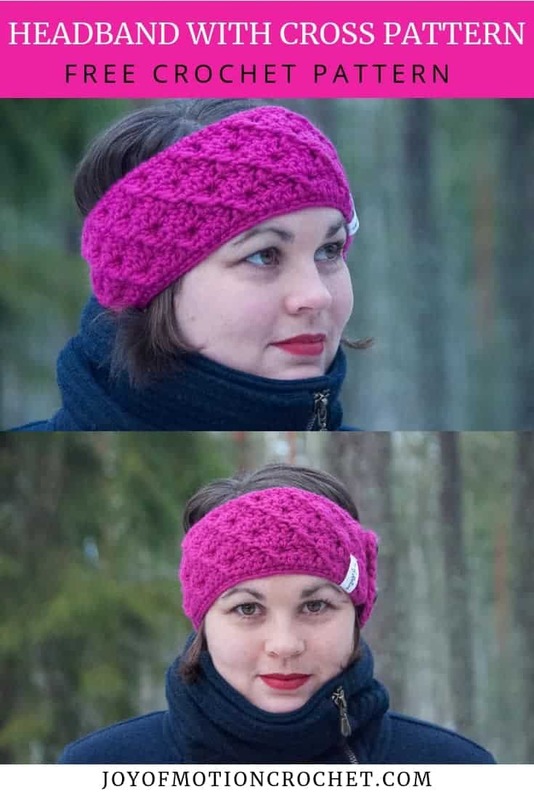 Attach yarn to the corner on a short side of the headband with a slip stitch. Row 1-5: Ch 1, sc 15 st, turn (=16 st). Fasten all threads & weave in ends. 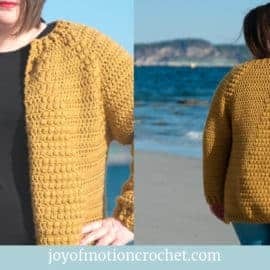 Attach buttons to button row. 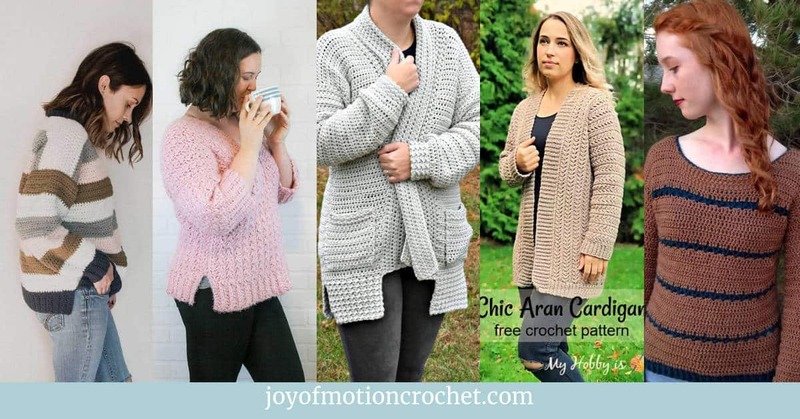 Holes that naturally are a part of the stitch pattern works as button holes. 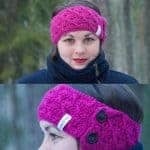 I really hope you liked the Headband with Cross Pattern! 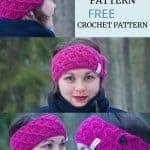 However, if you really like it, make sure to share the FREE pattern & share pictures of your Headband with Cross Pattern that you’ve made with me. 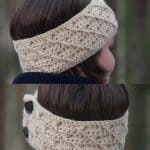 Share your finished Headband With Cross Pattern on Love Crochet. 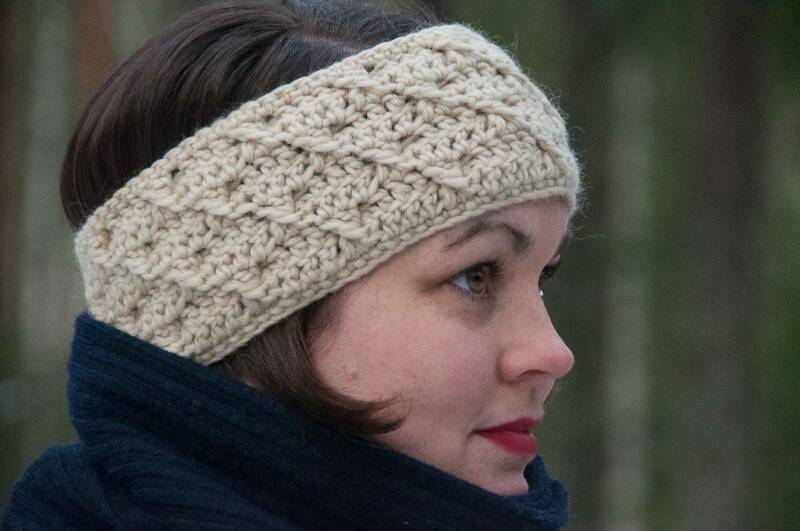 Share your finished Headband With Cross Pattern on Ravelry. 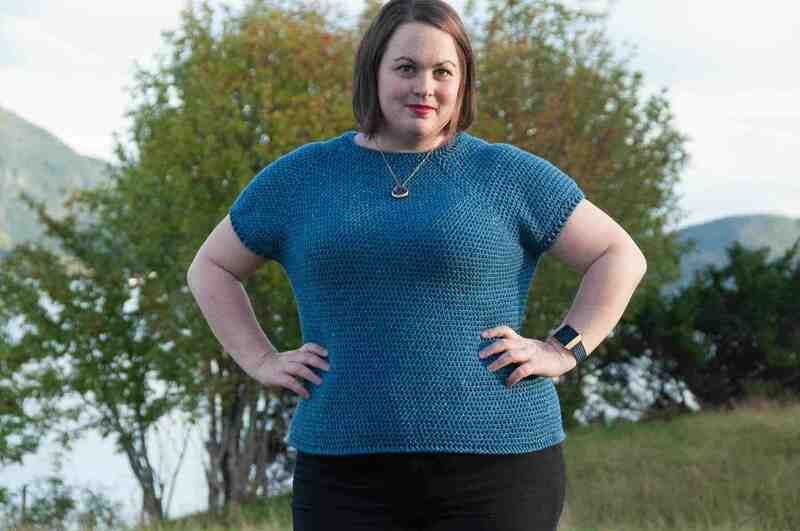 Gorgeous texture. 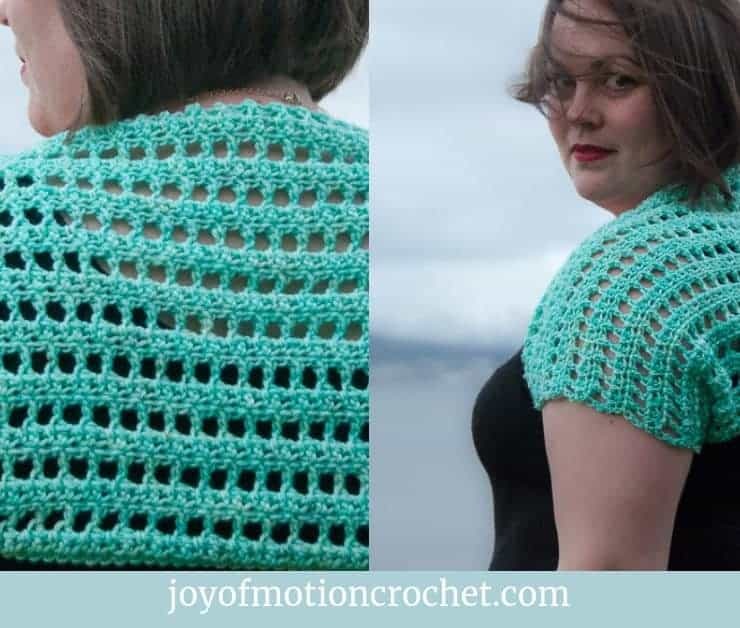 I love that it uses thick yarn too. 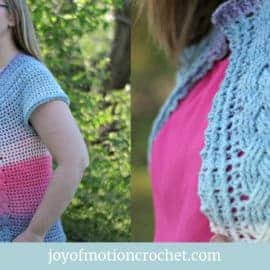 It makes for a quick and very warm project. Thank you for sharing. Gorgeous! 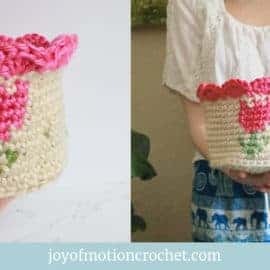 I love how you can make it for anyone. 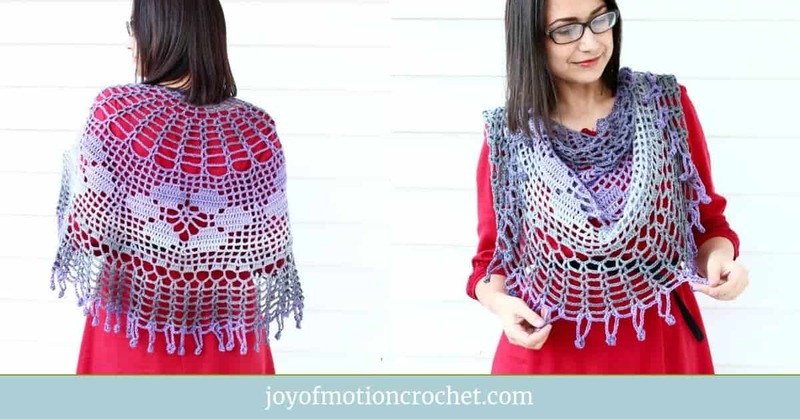 I like the diagonal effect!